Nothing beats a gorgeous pear…its actually my favourite fruit 🙂 that juicy, slightly fluffy flavour has my mouth watering in an instant. Have a go at these! 1) Using a small sharp knife score a zig zag line at the top of the pear by the stalk and remove the skin in a downwards motion. 2) Remove the core using a melon baller or a corer. 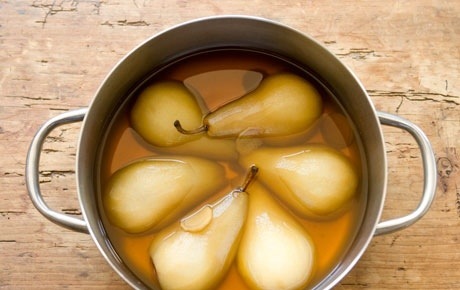 4) Combine all the ingredients into a saucepan large enough to hold all the pears. Place over a medium heat until the liquid boils, then bring the temperature down to a simmering point. Leave to simmer for 10 minutes until the pears gets soft. 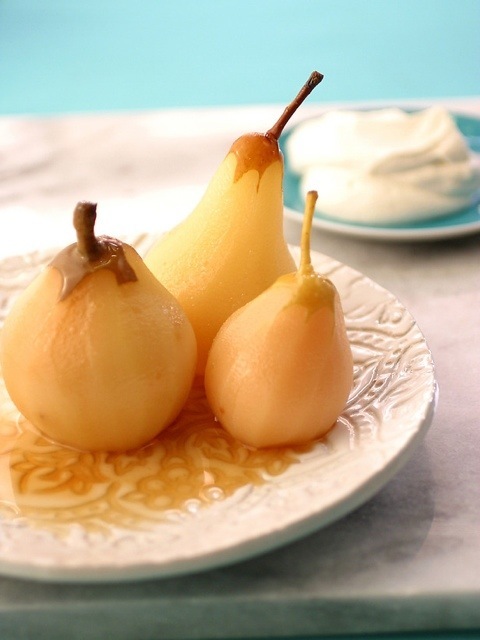 5) place the pears in a bowl and leave to cool at room temperature, garnish with. The orange zest. How easy is that?! And how gorgeous do they look? 1) Pre-heat the oven to 180C. 2) Whisk the sugar, juice, zest, orange blossom water, eggs and egg yolks until combined. 3) Add in the butter and let it simmer over a Bain-Marie. 4) Stir for 10-15 minutes until the mixture combines and thickens. 5) Port the mixture into the baked tart and cover with cling film to stop a skin from forming. 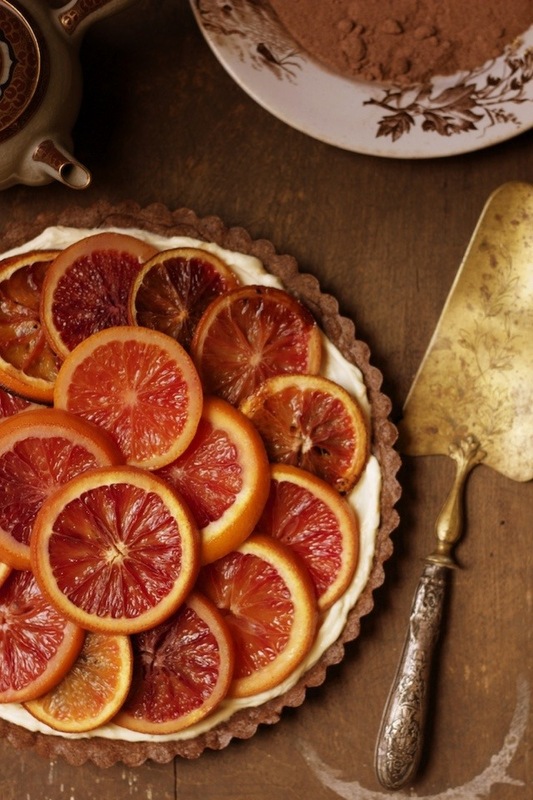 6) Once the tart is cool, arrange the sliced oranges over the top. 7) Sprinkle over the Demerara sugar, using a cooks blowtorch blaze the sugared oranges on the top to form a caramelised glaze. 8) Serve with double cream. Enjoy and keep it delicious!